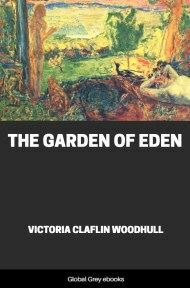 This book consists of eight lectures, given at the University of Oxford by William Inge, as part of the Bampton Lectures. 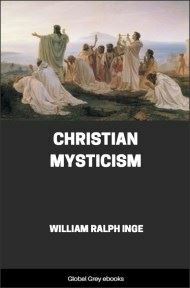 It begins with an extract from the last will and testament of the late John Bampton and then goes on to the lectures, which include General Characteristics of Mysticism, The Mystical Element of the Bible, Christian Platonism, Practical and Devotional Mysticism and Nature-Mysticism and Symbolism. "Beloved, now are we children of God, and it is not yet made manifest what we shall be. We know that, if He shall be manifested, we shall be like Him; for we shall see Him even as He is. "—I JOHN iii. 2, 3. No word in our language—not even "Socialism"—has been employed more loosely than "Mysticism." Sometimes it is used as an equivalent for symbolism or allegorism, sometimes for theosophy or occult science; and sometimes it merely suggests the mental state of a dreamer, or vague and fantastic opinions about God and the world. In Roman Catholic writers, "mystical phenomena" mean supernatural suspensions of physical law. Even those writers who have made a special study of the subject, show by their definitions of the word how uncertain is its connotation. It is therefore necessary that I should make clear at the outset what I understand by the term, and what aspects of religious life and thought I intend to deal with in these Lectures. The history of the word begins in close connexion with the Greek mysteries. 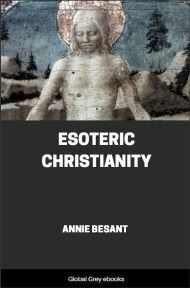 A mystic [Greek: mystês] is one who has been, or is being, initiated into some esoteric knowledge of Divine things, about which he must keep his mouth shut ([Greek: myein]); or, possibly, he is one whose eyes are still shut, one who is not yet an [Greek: epoptês]. 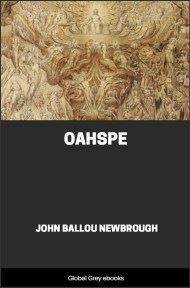 The word was taken over, with other technical terms of the mysteries, by the Neoplatonists, who found in the existing mysteriosophy a discipline, worship, and rule of life congenial to their speculative views. But as the tendency towards quietism and introspection increased among them, another derivation for "Mysticism" was found—it was explained to mean deliberately shutting the eyes to all external things. 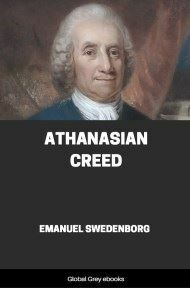 We shall see in the sequel how this later Neoplatonism passed almost entire into Christianity, and, while forming the basis of mediæval Mysticism, caused a false association to cling to the word even down to the Reformation. First, the soul (as well as the body) can see and perceive—[Greek: esti de psychês aisthêsis tis], as Proclus says. We have an organ or faculty for the discernment of spiritual truth, which, in its proper sphere, is as much to be trusted as the organs of sensation in theirs. The second proposition is that, since we can only know what is akin to ourselves, man, in order to know God, must be a partaker of the Divine nature. "What we are, that we behold; and what we behold, that we are," says Ruysbroek. The curious doctrine which we find in the mystics of the Middle Ages, that there is at "the apex of the mind" a spark which is consubstantial with the uncreated ground of the Deity, is thus accounted for. 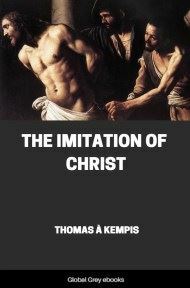 We could not even begin to work out our own salvation if God were not already working in us. It is always "in His light" that "we see light." The doctrine has been felt to be a necessary postulate by most philosophers who hold that knowledge of God is possible to man. 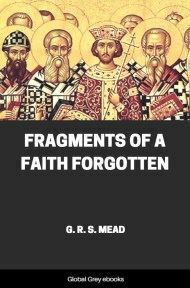 For instance, Krause says, "From finite reason as finite we might possibly explain the thought of itself, but not the thought of something that is outside finite reasonable beings, far less the absolute idea, in its contents infinite, of God.